Bruce Springsteen playing "For You" at Harvard Square Theatre in 1974. Barry Schneier could barely believe what he was hearing. He’d walked into Charlie’s Place in Cambridge for a pop and some guy named Bruce Springsteen was singing. It was 1974. We thought of Schneier because Springsteen is playing at Gillette Stadium on Wednesday — the final show of a yearlong tour celebrating the 35th anniversary of Bruce’s album, “The River.” Yes, Schneier will be there, just as he was at Springsteen’s previous shows on this tour in New York, Hartford, and at TD Garden. Schneier has made his living taking pictures and he’ll have his camera with him Wednesday. (He’s shooting for Backstreets Magazine, a website devoted to all things Bruce.) 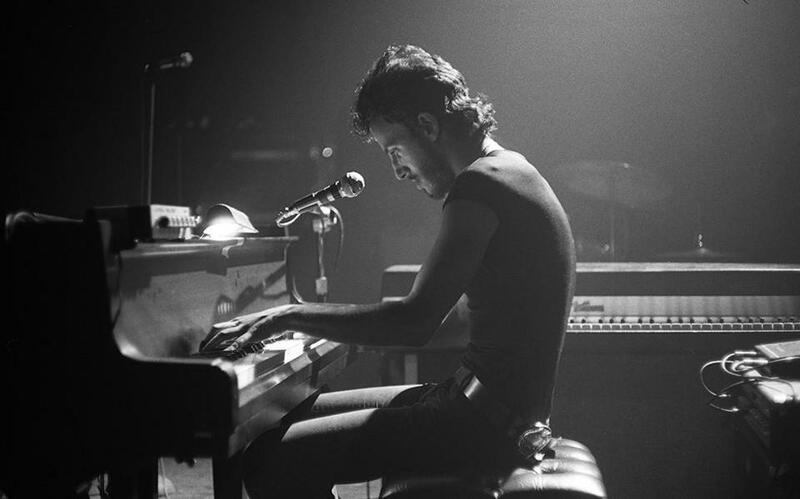 But it’s unlikely he’ll capture anything as iconic as his 1974 photo of a young, bearded Springsteen in jeans and a tight T-shirt playing the piano.